MISSION STATEMENT: To provide opportunities for spiritual enrichment; provide social and fellowship activities, make available education information pertinent to senior adults and provide opportunities for ministry. The Senior Adult Ministry of Oak Crest is called PrimeTimers. This ministry is multi-faceted and always growing. PrimeTimers enhances fellowship of Senior Adults through a monthly time for games and a meal. During this monthly event, participants catch up on the lives of each other, engage in spirited competition, and hear about the many upcoming events and outings. Of course, PrimeTimers is more than a monthly fellowship. This group is made up of people who are in the prime part of life! Through so many God given advancements in medicine and treatment, people are living longer than ever before. All of a sudden the ages that once would have been considered old are actually in the prime of life. 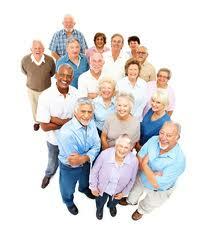 Now retirement age often is the beginning of twenty,thirty, even forty years of active life. That life should not be spent merely in rest and relaxation, but in service to the Kingdom in a way that was previously limited by work responsibilities. Retirement is not the end; it is the beginning of using all of the accumulated resources and experiences of life to the glory of God. What a blessing this group is at Oak Crest. We usually meet on the third Thursday of the month. Please check Calendar of Events under the "News & Events" tab to see our next scheduled fellowship.